If used moderately for short periods, laxatives can help remove toxins from the intestine during a fast. Some people feel that the most effective cleansing is in using the enema kit combined with natural laxatives. Others prefer using psyllium and a glass of prune juice or senna tea. If you choose herbal laxatives, never take them for prolonged periods. Moderate use of natural laxatives, while juice fasting or while on a mucus-less diet is a matter of personal preference. Hi Tom, Please define enema for me. Is it colon cleanse kit or a solution you drink to detox? I’m unsure in my mind what enema is when I keep comming acroos this term. Use the site search for the word enema. It is a water bottle with a hose attached. 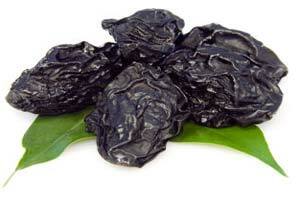 I’m doing an extended water fast, I’m thinking of eating a plum as laxative, when should I eat it and how many? I have been researching this fasting for about 4-6 weeks, and am excited to get started 01-01-10. I’m so glad to have this forum as I know I can’t do it alone. Pray for me. I’ll try not to go too long on the question. The only thing I am concerned about is going too green as I am 100+ obese. And I read somewhere that, while greens are great for you, they increase red blood cells (vit. K) and may be a concern as to blood clotting. My blood is probably already like sludge from toxins. It’s disappointing cause, some of the green juice recipes sound great. Any advice from you Tom would be greatly appreciated. Many Blessings. I just got done doing a water fast 5 days ago I have been doing fruits juices and soups. And no bowl movement yet. Can I take a laxative?